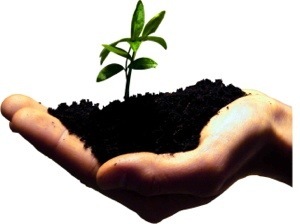 August | 2013 | Go, Leader, Grow! In this last post on Personal Brand, I want to address the most difficult circle for many (most?) of us – the perceptions that others have of us. In marketing terms, let’s call this our “Market”. Do you remember the old Burger Chef fast food chain? Growing up, we called it the “Barf-n-Choke”. Can you tell what our perception of Burger Chef was? Does it exist today? Not here in NE Indiana. The Market decided what it thought of Burger Chef with its feet – they left. As I see it, perceptions can come from 3 primary groups of people: Haters, the Herd, and Helpers. Let me explain what I mean. I know this term seems harsh, but I wanted another “H” word. But you already get the drift of what I’m going to say about them. These are people who judge first and don’t ask questions. They are a small group of people who delight when someone fails. They don’t see the good in others. They put others down in an attempt to lift themselves up. Secret: Whatever a “hater” throws your way, find the truth quickly in what they are saying, use that to strengthen yourself, then avoid/ignore them. Don’t get caught up in senseless arguments with them. They revel in this. If need be, agree to disagree. Don’t waste personal energy obsessing with trying to convince them to change their opinion. For some folks, they place a large price tag on cutting others down and have a very, very tiny price tag on love and cooperation. Don’t let them put that big, ugly price tag on you. You’re worth more than that! Rehearse It – play those hurtful “tapes” over and over in your mind. It will only further damage your confidence and self-worth. Don’t do it! Reverse It – OK, so something bad happened. Maybe you played a part in it or not. Let it go and move on. Learn from it. Become better for it. “Repent” from it (yeah, I wrote repent = to turn around, do a 180 and walk away from something). This is the largest group of people you encounter every day. It’s the barista at your favorite coffee shop. It’s the co-workers you pass on the way to your office. It’s the other parents at your daughter’s dance studio or son’s baseball team. It’s folks you attend church with. It’s your neighbors. It’s your vendors. What do you want people to think about you 5 minutes after you’ve left their presence? How do you want an interaction to end? Think about what this person who just dumped something on you will think about you 5 minutes after you’ve walked away? Now respond. That can make a difference, right? Helpers are those folks in our lives who we trust. They can know us best. They will be fearlessly honest with us – yes, love hurts sometimes. They hold us accountable. They don’t judge…they critique. They build up. They expect the best from themselves and those around them. In marketing terms, Helpers are our Net Promoters. We need more Helpers in our lives. Think of your Herd and Helpers as “buyers” of your personal brand. You need buyers. Concentrate most of your emotional energy on them. Learn from them. Become better because of them. Don’t believe all of your good or bad press! Truth is probably somewhere in the middle. How’s your personal brand looking these days? Are people “buying” you? Are you proud of your brand? Need to strengthen it? Try focusing on the 3 circles and see what happens. I hope you sell-out…to a better, improved you! Understanding your personal brand means paying attention to not only who you think you are (self-awareness) or other’s perceptions of you, but focusing in on what you do and say around others. This is your brand in action. Have you visited a restaurant that a friend recommended? You had heard that the service was great and the food even better. The atmosphere was supposed to wow you. You had even seen ads on TV promoting these attributes. Then you visit – and are disappointed. Your waiter was indifferent. The food was good but not great. And you were placed at a table that was so uneven, a ball would easily roll off if placed in the center (that actually happened to me once!). You, of course, would begin to question all that you had heard about this place. The expectations and promises were not fulfilled. You probably would not revisit the restaurant and may even begin to question your friend’s opinions. A friend of mine is a counselor. He spends most of his work time listening to and counseling others. He has a saying that puts situations into perspective. Someone may tell him, “I’m going to change this time!” Harold replies, “well, talking’s the easy part.” It’s the action that will make the difference. In developing and understanding your personal brand, you need to be very aware of this. Saying one thing but doing another can so easily destroy your credibility. At work, your boss is watching you. Your team is watching you. Your colleagues are watching you. They hear what you say. They are also watching to see if you follow through. So how do you strengthen your personal brand? The following list is not exhaustive, but you can at least start here. * Be accountable. If you promise something, follow through. If you have goals to achieve (don’t we all? ), achieve them. Own your results. Don’t fret over someone else’s performance. Be accountable to yours. * Standards. It is so easy to live life toward the lowest common denominator. You may see other managers just doing enough. They seem to be living life “under the radar” and get away with it. You see others gossip and it doesn’t appear to affect their reputation. Living with little to no personal or professional standards will always catch up with a person. Set your standards high and stay consistent. * Be fair. Don’t play favorites with your team. Your credibility will be destroyed faster than you think. Expect fairness from others. * Get results. Know your goals. Make sure your team knows the goals. Lead. Push. Coach. Cheer. Achieve. * Put in the work. Being successful is hard work for most folks. Don’t be afraid to put in the time and effort needed to exceeding your goals. As the leader, be the example. * Add value. While you’re working on hitting your numbers, keep your eyes and ears open. If you learn something that will be helpful to another team leader, share it with them. Be known as a person who is a trusted resource for others. Share an article or book you’ve read. Share the story behind the numbers that someone may not be familiar with. Offer assistance with a project or presentation. Know who you are. Be aware of what you say & do and how that can either build up or tear down your personal brand. Next week I’ll tackle the perceptions of others. 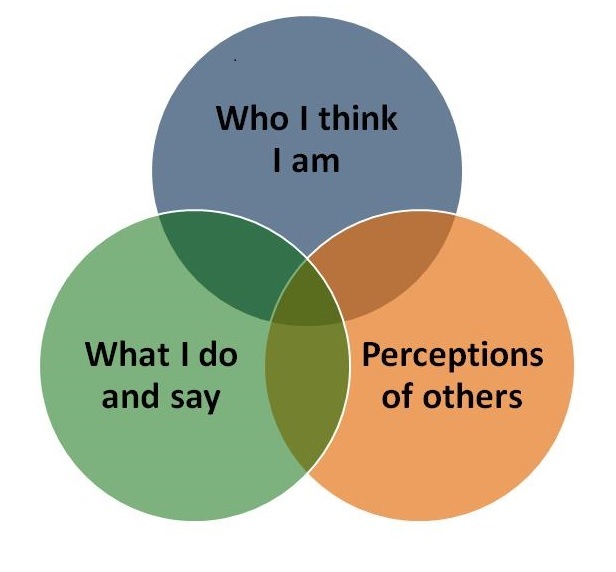 Let’s get into the first circle and look at the sometimes uncomfortable idea of “who I think I am.” If you were a brand (and you are), this would be your brand promise, dream, potential. I could easily title this circle “who I wish to become.” What experiences did you have to get you to where you are today? I’m not going to turn this into some cheap pseudo-counseling session. I’m not licensed (or that patient). How do you get to know the real you? Appropriate, healthy self-talk. There are plenty of articles and books written on this subject. What we tell ourselves can make or break a day at the office, a relationship with our spouse and kids, as well as what we can or cannot accomplish. Want a healthier you (on the inside)? Be sure to feed your mind positive ideas and directions to you! Too many times, we beat ourselves up well before anyone else. Journal. Take time weekly (daily?) to journal your thoughts and experiences. This is a conversation with yourself. What may have been a bad interaction shows up in a new light when you’re journaling about it later. Perspective is a wonder thing, and journaling can provide a good dose of it. Have a trusted friend/advisor/mentor. Find someone you can be honest with and who will be honest with you. Spend enough time with them so they get to know the real you. Allow them to ask you the difficult questions. If they begin to manipulate the relationship, dump them. You need someone who you can confide in as well as who will not baby you. Do you want to be more friendly at work? How much do you smile and make eye contact with co-workers? Do you eat lunch with co-workers or do you hunker down in your office alone? Do you wish you could be more innovative on the job? Read. Listen. Interact. Innovation and creativity isn’t granted by some fairy god-manager. Exposure to new ideas will expand your mind and your world. Do you want to be known as a giver, encourager, builder of people, achiever? Are you doing anything today that would result in this in your life? Read: articles, magazines, white papers, phone/tablet apps. I find great value in Flipboard and Zite. I expose myself to all kinds of new ideas daily through these free apps. Learn: take advantage of seminars, conventions, others in your company. Learn something new every week. Journal about it (that will help reinforce it into your life). Share: share what you are learning. Share articles and books. Share what you’ve learned from someone else. The next post will focus on what I say and do – your personal brand in action. Thanks for reading this today! I’ve been doing some thinking about personal branding the past few days. On Flipboard and Zite (apps), I’ve come across plenty of articles that speak to this topic. I decided this morning during a 5:45 am walk with my dog, Gage, to write some thoughts about a personal brand. Some of what you’ll read is from personal experience and some is from observations and then more will be insights I’ve pulled from reading I’ve done in the past. We all pretty much know what a brand is – it’s that “something” that a company/person is trying to sell. It could be a product like tires, coffee, or clothes. It could be an experience like freedom, uniqueness, or fun. It could be an idea – excellence, perfection, fashion. At the intersection of these 3 ideas is reality – the real you, your personal brand. Over the next couple of posts, I want to flesh out what I mean by each of the 3 statements. I’ll identify 3 types of people in your life: Haters, the Herd, and Helpers. (Don’t get worked up by the word “Haters”. You’ll soon learn what I mean). I’ll talk about price tags and our tendency to place the biggest price tags on things that don’t move us forward. During the next few blog posts, I welcome your comments and insight. As always, you can begin following this blog or follow me on Twitter @jimmyjohnsonfw. Very soon, I’ll be interviewing some local entrepreneurs here in my city (Ft Wayne). I’ll be posting those interviews here. I believe there is a lot to learn from small business owners. Leaders and managers will benefit from what entrepreneurs can teach us. Evernote – do you use it? 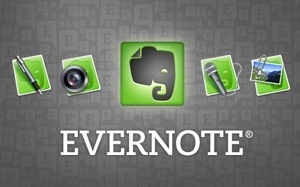 Have you tried Evernote? Know what it is? Follow this link and learn. You’ll be glad you did.